Start the party with this - 12" Confetti Popper Cannon which shoots Confetti 18-24' feet into the air to really get the Party Vybe and Celebration Popping! These 12" Confetti Poppers are able to be fired very easily, the confetti cannon is equipped with loads of various small pieces of confetti to light up the surrounding sky and atmosphere in your place of choice. To activate and fire it, you twist the cylinder in a designated twist area and it Pops! 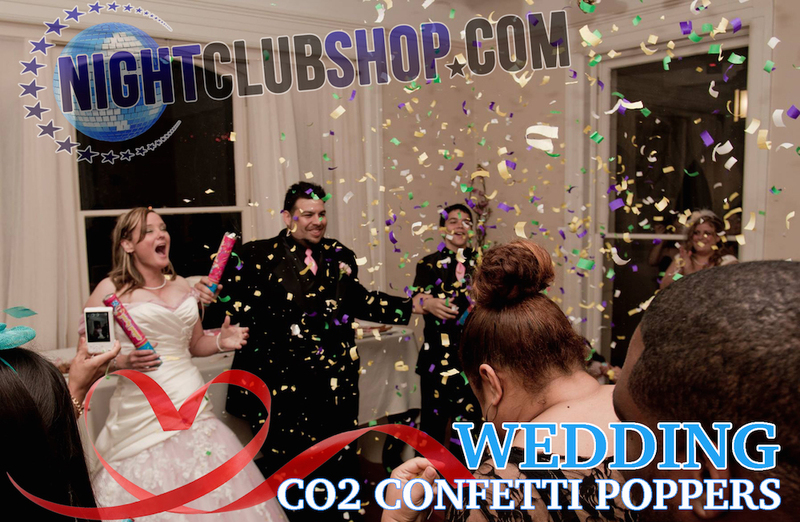 all of the multi-color Confetti Tissue Paper with a great co2 push! It is Quite a sight! 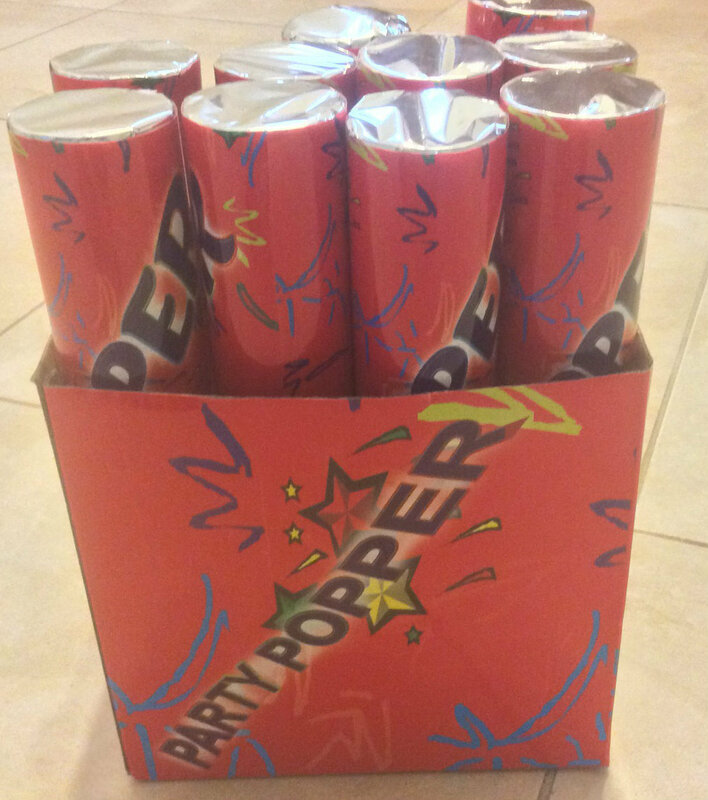 This brings 1 one time use CONFETTI POPPERs CONFETTI CANNON, this Popper cannon will make your celebration pop and start off with a Bang! All parties, special events, festivals, parades, tradeshows, presentations, stages, clubs, VIP, Bottle ServiceDelivery presentation, and Disco/Raves should be equipped with this Confetti Popper cannon, pass them out or use them on the stage, its wonderful effects will make your moment even more memorable! These poppers worked great. They actually fire out 15-20 feet as described and alot of confetti comes out of these!